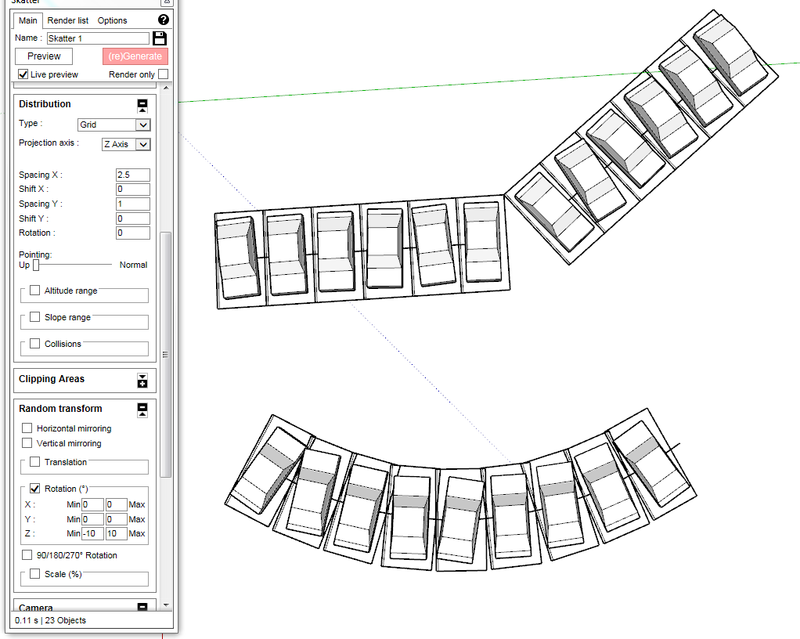 You can create parametric parking lots using Curve Hosts. Create a line that goes through the middle of the spots. You may need to divide the line in at least 3, to group it. There is a small bug in Skatter that tend to make a loop if only two lines are connected. Check the groups containing the lines to see what I mean. You can of course use as many different car components as you want.